INSTALLATION OPTIONS - Installs In Kitchen Countertops, Desk Tops, Tables, and Similar Surfaces. DIMENSIONS - 5.8 x 5.3 x 4.3 inches. 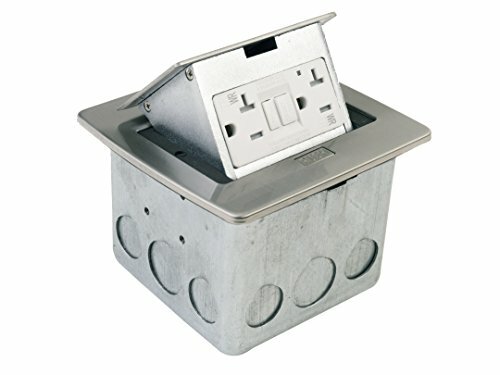 TAMPER RESISTANT - All PUFP Style Supplied With Tamper Resistant Receptacles. GFI POWER - Features Two 20 amp GFI Power Receptacles. EASY TO USE - Pops Up When In Use, Hides In The Box When Not In Use. If you have any questions about this product by Lew Electric, contact us by completing and submitting the form below. If you are looking for a specif part number, please include it with your message.